On November 7, 2017 the City Council approved an ordinance regulating the the use/distribution of single-use beverage straws in the City. Read the report to the City Council here. On or after March 1, 2018, any vendor shall ask each dine-in customer if the customer wants a single-use beverage straw before providing a single-use beverage straw to the customer. The ordinance will be effective March 1, 2018. All businesses in the City of San Luis Obispo including: restaurants, bars & pubs, cafeterias, caterers & event organizers, convenience, & liquor stores, delis & coffee shops, ice cream and yogurt shops. Why are single-use beverage straws now regulated? According to the Integrated Waste Management Authority (IWMA) in San Luis Obispo, 400,000 straws are used every day in SLO County. These straws are not able to be recycled and end up as landfill waste or as litter. 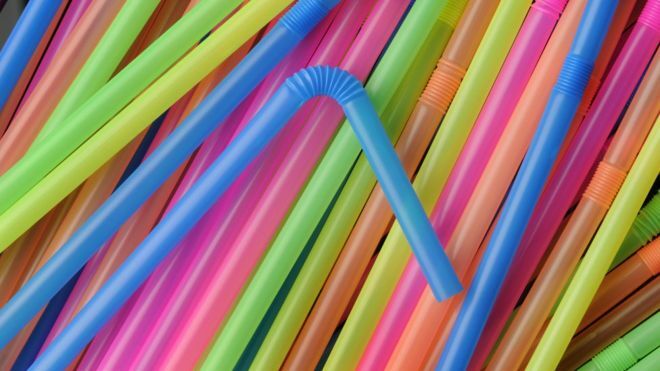 Single-use straws are seen as an unnecessary wastestream; according to IWMA, studies have shown that 80% of customers will say “no” if asked if they want a straw. For more information, please read the report to the City Council.